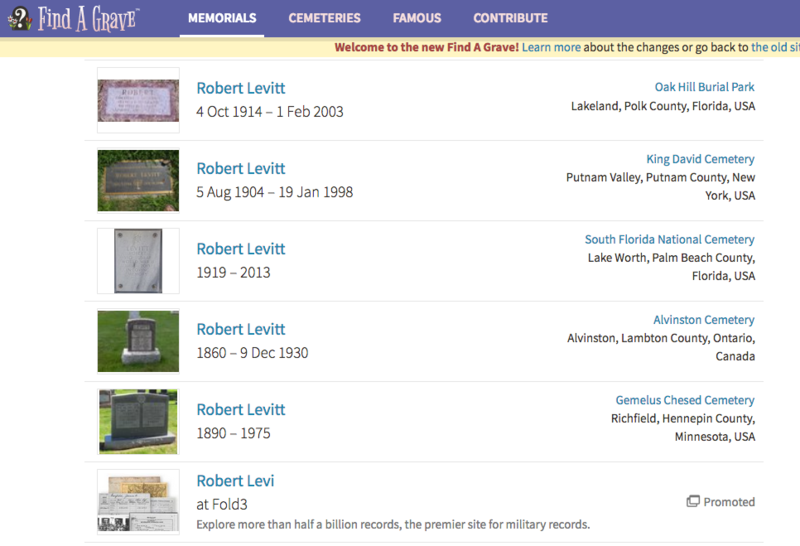 Findagrave.com offers a searchable database of gravesite locations for nearly 160 million people. The website and some of its search features were updated in November 2017. You now can search with a partial last name and even a partial first name, by a nickname, or by a maiden name. To choose these options, click into the appropriate checkboxes. options remain the same (middle initial, year born, year died, and cemetery location). Results can be sorted by name, death date, birth date, or cemetery name. The amount of information in each result will vary, but most show the name and location of the cemetery, which could be useful in your search for living relatives. Once you find which city your subject is buried in, you can move on and search for that city’s newspaper database, which might include an obituary for your subject and names of relatives to search for and contact. Portions of this post update the authors' "The Cybersleuth's Guide to the Internet book."